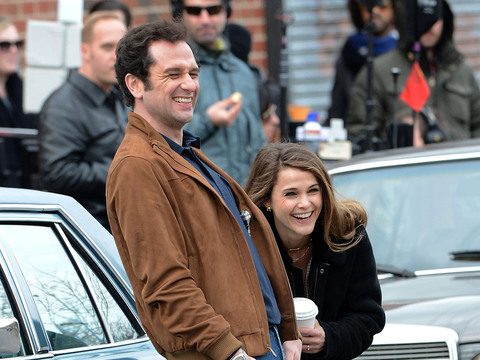 "The Americans" co-stars Keri Russell and Matthew Rhys have welcomed their first child together, Us Weekly reports. A source told Us that Keri gave birth last week, and said, "Keri and Matt both look overjoyed and are over the moon to be new parents. They are always snapping pictures of the baby, and family and friends have been sending gifts." Keri's other children are River, 8, and Willa, 4, with ex-husband Shane Deary.